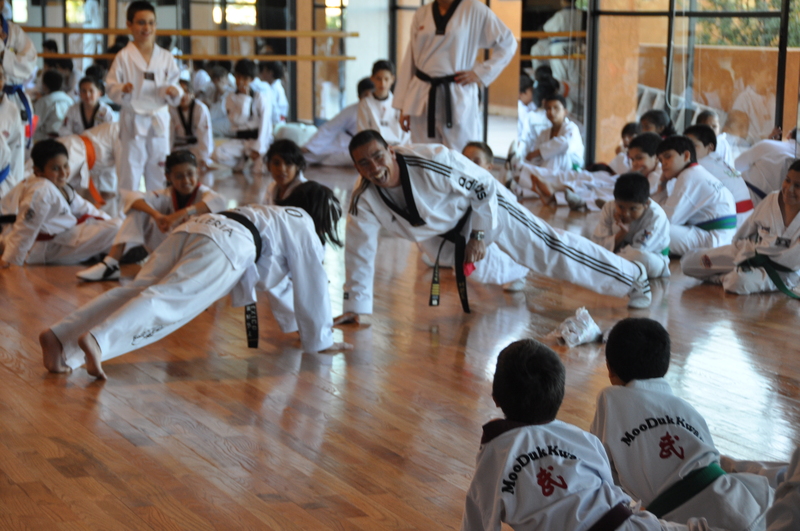 martial arts is an absolute focus on self-discipline. Today’s kids are so accustomed to receiving instant gratification that lessons in self-restraint and discipline aren’t always easy to come by. 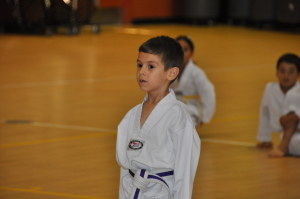 Kids with a martial arts background, however, are continually reminded of how essential self-discipline is. 3. Encouraging Physical Activity – Limiting screen time is a great idea when it comes to getting kids off the couch and encouraging them to be more active, but it only goes so far. 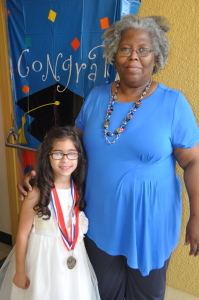 Enrolling an inactive child in such a physically demanding pastime not only discourages the sedentary lifestyle she’s used to, but also gives her an enjoyable activity that inspires them to keep moving. 6. 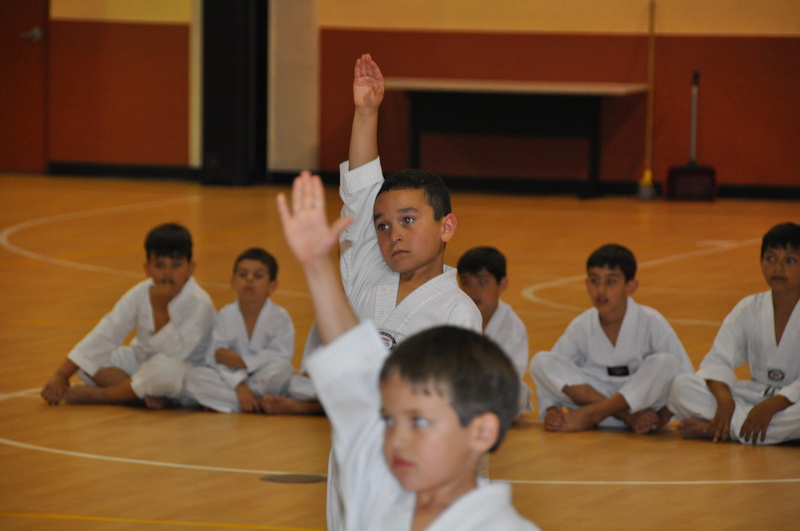 Instilling a Sense of Respect – Learning any martial arts style will require your child to show her instructor unflinching respect. Today’s kid culture doesn’t always include respect for authority, adults or those in advanced positions. 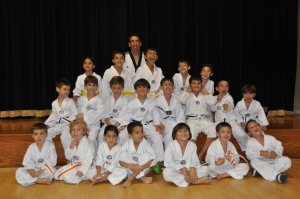 When she goes to Tae kwon do class, though, your child will be learning lessons in respect along with new moves. 11. 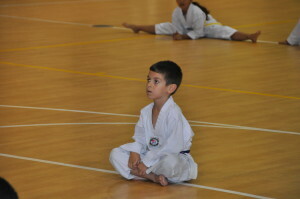 Discipline – Because of the content of Taekwondo training the instructor has to ensure it is taught in a safe environment where no one is going to get hurt. 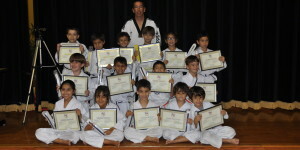 Therefore Taekwondo training should be very strict to ensure students safety. Also because the whole Taekwondo system is built on‘respect hierarchy’ students are expected to listen carefully to the instructor and follow instructions. 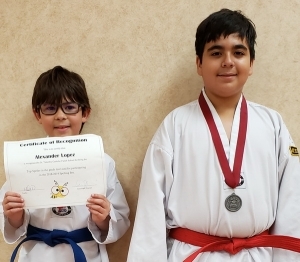 Especially younger students who are renowned for lack of discipline soon learn that if they want to continue training they have to conform to the strict Taekwondo regime. 12. 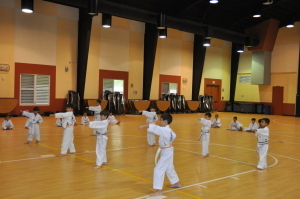 Fitness – When starting Taekwondo training no one should worry about their fitness levels. The instructor will recognize that every person has totally different fitness ability and will discuss it prior to training. 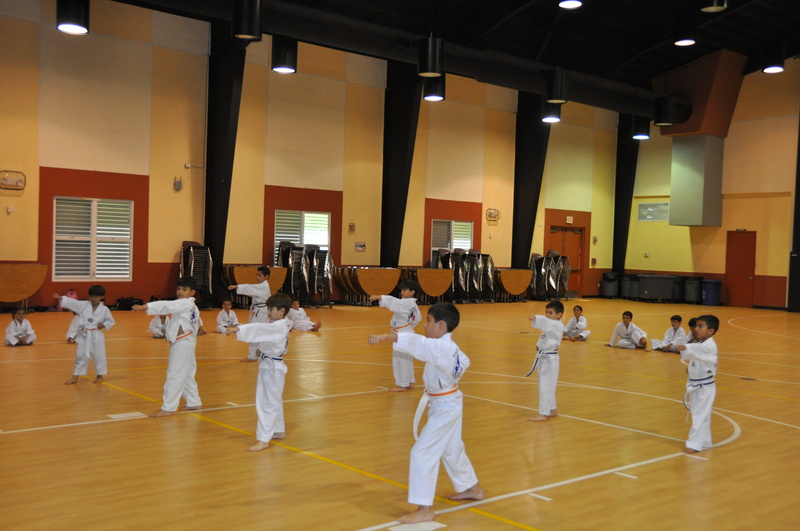 For people who wish to start training to improve their fitness levels Taekwondo exercise works the majority of muscles both upper and lower body and when you reach a higher level requires a certain amount of stamina. Every person as mentioned before is an individual so it is up to yourself how much energy you exert into your training. 13. Flexibility – Again when first starting training try not to worry about your lack of flexibility. This is like anything you do and is just practice, irrespective of age. 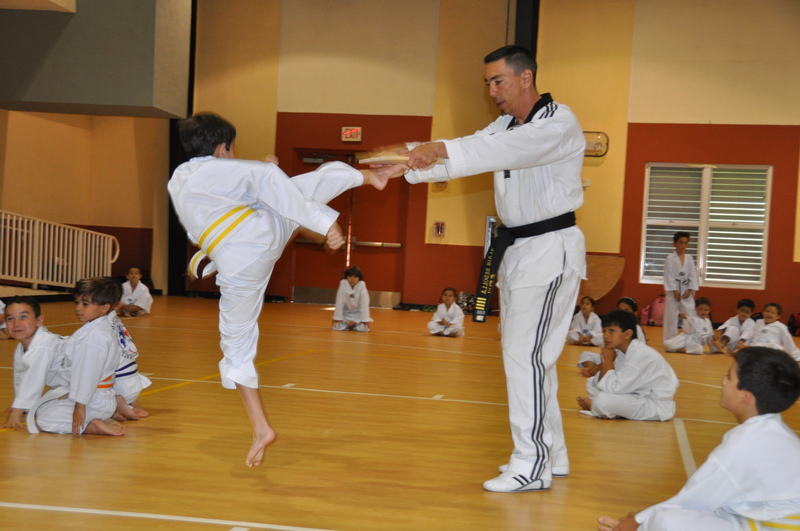 Taekwondo training does require a certain level of flexibility but this will come with time and your instructor will help you and tell you the stretches you should be practicing to improve your flexibility. 14. Coordination – The majority of people favor one side of their body when it comes to writing, throwing a ball or turning around for example. In Taekwondo students are taught to use both sides of their body exactly the same way which improves balance and coordination. Children who struggle with coordination skills often see massive benefits in this area often within weeks of starting training. 15. 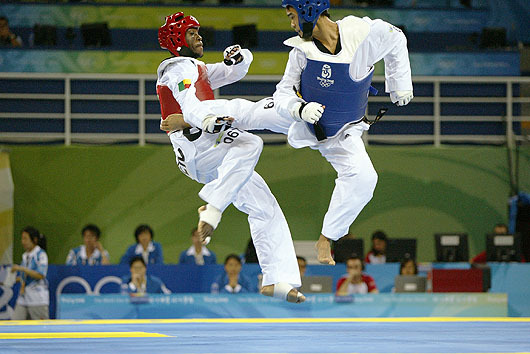 Taekwondo Techniques – Skill or ability from Taekwondo. 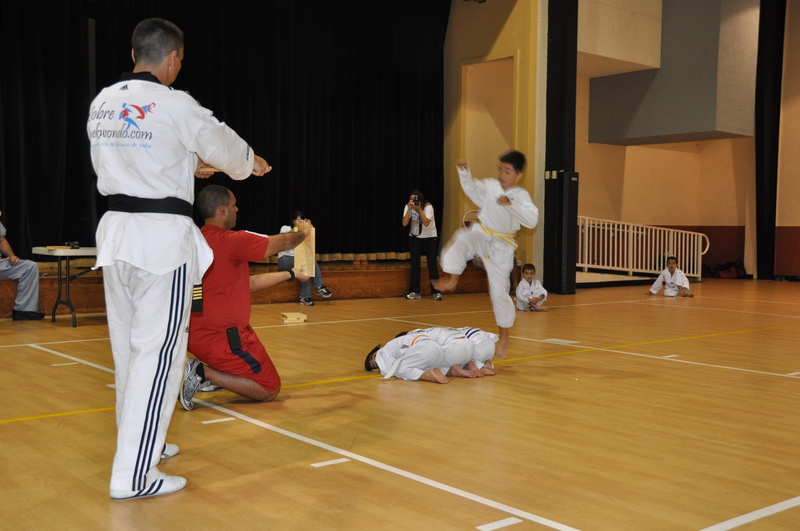 For example; Sogui (Stance), Makki (Blocking Techniques), Jirugui (Strike Punch), Chagui (Kick), etc. 16. Taekwondo Forms (Poomse) – Consists of the various fundamental stances, blocks, punches and kicks logically arranged in a meaningful order in response to attacks from multiple imaginary assailants attacking you from different directions. 17. Taekwondo Breaking – It is an specifies mode of martial arts used in competition, demonstration and testing. Breaking is an action where a martial artist uses a striking surface to break one or more objects using the skills honed in their art form. 18. 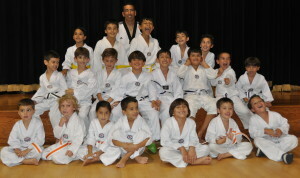 Taekwondo Sparring – Taekwondo sparring is a great way for kids & adults to gain confidence, utilize their Taekwondo skills in a “real world” environment (versus just hitting pads or static practice dummies) and lose their fear being hit.